Was Steve Jobs the Commercial Mesiah? He used Apple as an example of a business which uses the why or underlying belief system as its primary corporate message which then leads into the how and what they do. This brings to mind an article reflecting on the Steve Jobs legacy that I read after he passed away. Steve insisted that the design of a product be the key factor. This then informed the subsequent engineering process and marketing. As Sinek notes, he did the opposite of what other technology companies typically do. 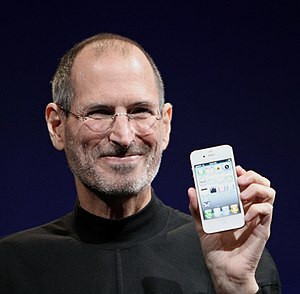 In doing so he not only made Apple a premier company but also made it a leader in its field. If imitation is the sincerest form of flattery, the design of competition mobile phones, entertainment devices and tablets signal that Apple’s business method is the one to follow. How does all this relate to Human Factors Science and Human Science generally? I believe that we provide the why based on our knowledge of the end user – the human. Unfortunately, all too often the technical and marketing areas dictate what is produced without any input or thought of the human interface, reflecting some of Sinek’s assertions. If the end user does not find the product intuitive or empowering to their human experience (informed by our scientific approach to this aspect) the product will probably fail as a commercial success. So really the challenge is not a real challenge at all. Get professionals to handle matters at each stage of the process. However, start with the Human Factors Scientists to provide the why, then let the engineers and technicians loose to produce what they’re good at, the how and what.